Iron Hill Brewery and Restaurant recently opened in the former Don Pablo’s space, across from the Haywood Mall. The restaurant has 13 other locations, but their new Greenville spot is the first they’ve opened in the South. 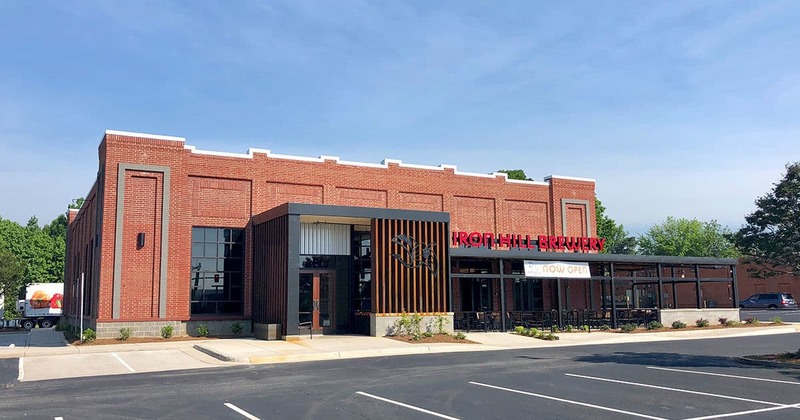 The brewery will offer staple beers like a light lager, IPAs and darker beers, but they’ll also have a wide selection of special brews they’ve created using local ingredients. Customer can check out the brewing process at the taproom during normal hours. In addition to the the a wide variety of beer options, Iron Hill is serving up food for everyone to enjoy – even the vegetarians and gluten-free folk. The menu at Iron Hill includes appetizers like a cheese steak egg roll and hand-cut sweet potato fries for appetizers (which we’ve heard are a MUST). Soups, salads and burgers abound if you’re looking for something a little more substantial. There’s even a surprising selection of plates with a seafood flair. It’s also important to note that Iron Hill is a family friendly place and reservations are available.